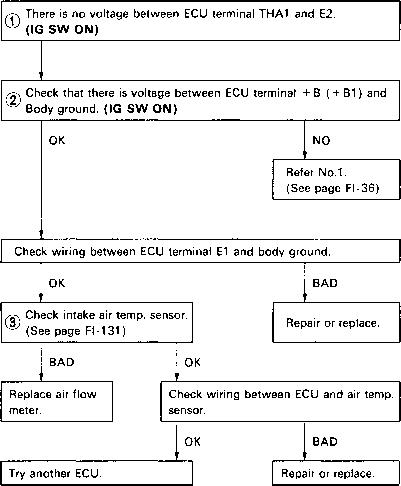 (a) Check to see that there is no play in the outboard joint. (b) Check to see that the inboard joint slides smoothly in the thrust direction. 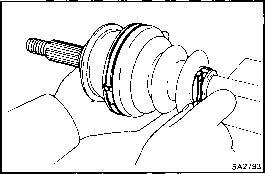 (c) Check to see that there is no remarkable play in the radial direction of the inboard joint. (d) Check for damage to boots. 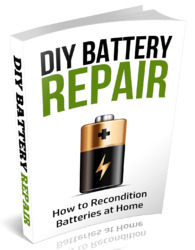 Using a screwdriver, pry out the snap ring. 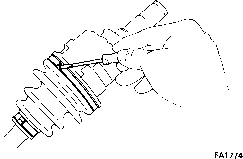 (a) Using a screwdriver, remove the two boot clamps. (b) Slide the inboard joint boot toward the outboard joint. (a) Place matchmarks on the inboard joint tulip and tripod. NOTICE: Do not punch the marks. 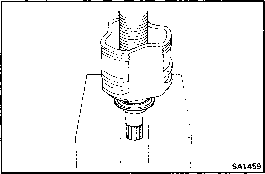 (b) Remove the inboard joint tulip from the drive shaft. 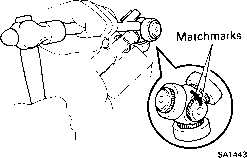 (a) Using snap ring pliers, remove the snap ring. 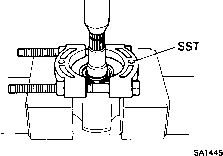 (b) Using snap ring pliers, temporarily slide the snap ring toward the outboard joint side. 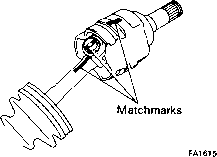 (c) Place the matchmarks on the drive shaft and tripod. NOTICE: Do not punch the marks. (d) Using a brass bar and a hammer, remove the tripod joint from the drive shaft. NOTICE: Do not tap the roller. (e) Using snap ring pliers, remove the snap ring. Slide out the inboard joint boot. 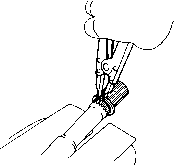 (a) Using a screwdriver, remove the damper clamp. (b) Slide out the damper. 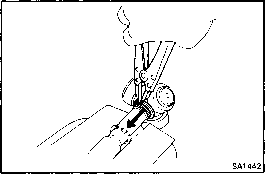 (a) Using a screwdriver, remove the two boot clamps of the outboard joint boot. (b) Slide out the boot from the outboard joint. NOTICE: Do not disassemble the outboard joint. Using SST and press, press out the dust cover from the inboard joint tulip. Using a press, press out the dust cover. How to remove outboard joint mr2?